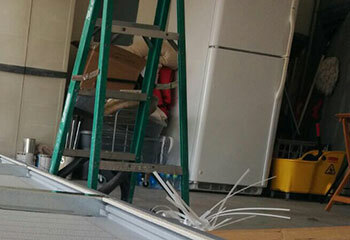 Want to know what our garage door technicians have been up to? Check out some of our latest projects below to learn how we were able to help local homeowners with their garage door problems. Customer Issue: Accidental damage to the garage door left two bottom panels dented in a very unsightly way. Our Solution: The damaged panels needed to be replaced. Luckily, sourcing new sections from the door's original manufacturer (Clopay) was simple enough. After obtaining those, we returned to the customer's house and installed the new door panels after removing the damaged sections. 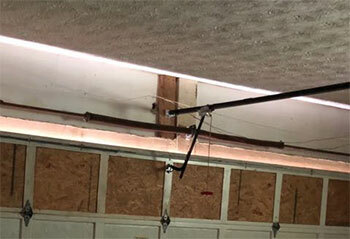 Our Solution: A broken garage door spring merits an urgent response, as the system is unsafe to use until it is replaced, and oftentimes, it can be impossible to even open it. We quickly replaced the damaged spring and then adjusted the tension of the new unit to ensure the door's opening and closing action would be optimal. Customer Issue: Sensors Out of Alignment. 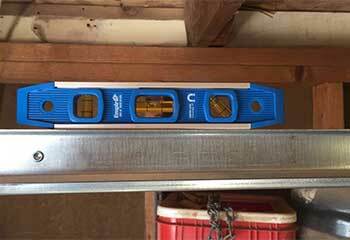 Our Solution: Our technicians quickly identified the problem with this customer’s door system. After realigning the safety sensors and testing them out to ensure everything was functioning properly, we inspected the rest of his garage door system for any underlying faults. Customer Issue: Broken Door Track. Our Solution: When we arrived at this customer’s property we quickly identified the need for a new garage door track, as his old one was in a terrible condition. We replaced it on the spot, leaving our customer 100% satisfied. 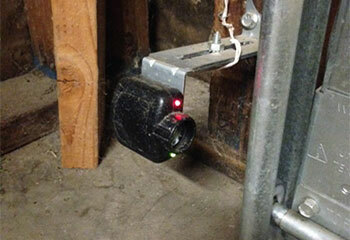 Our Solution: This customer was looking to get a new garage door opener and wanted to consult with us. 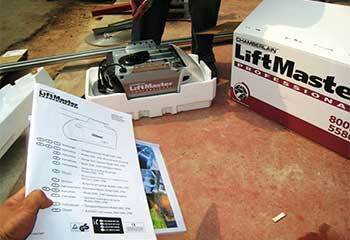 Our team recommended the Liftmaster Elite Series 8550w and quickly installed it at the customer's home. They are very satisfied with their new opener.